What is IRCTC RuPAY Debit Card? 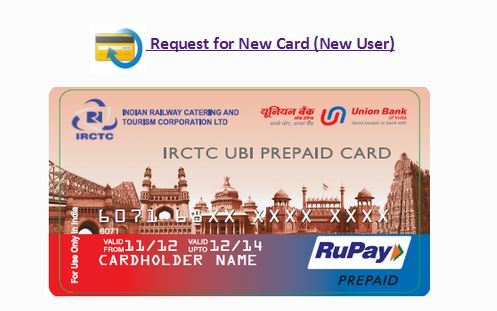 How to get IRCTC RuPAY Debit Card? RuPay is the country’s own card payment gateway network like Visa and Master Card, and provides an alternative system for banks to provide a debit card service. Apart from enabling online tickets booking, IRCTC RuPAY Debit Card will also facilitate user to make payment of service and do shopping online but in second phase. IRCTC RuPAY Debit Card Holder will get accident insurance of Rs.1 lakh but after furnishing full KYC details. First Five ticket bookings per card per month are free for initial 6 months. 6th transaction will attract a charge of Rs.10 per transaction. After 6 months of free usage, Rs.10 will be charged for each transaction. Similar to other cards, rewards points will also be awarded for each transaction. Redemption process is still to be specified by IRCTC. Virtual Card is completely free of charge and can be obtained with furnishing partial KYC norms. Virtual Card comes with a low limit of Rs.10,000 and a validity of 1 year. The card details i.e. card number, expiry year and CVV will be sent to the registered email address which can be used for booking tickets online. Physical card bears a cost of Rs.500. It comes with two options. The first option is same as of virtual card i.e. limit of Rs.10,000 with 1 year validity. Under second option, the limit and validity can be increased to Rs.50,000 and to 3 years by furnishing full KYC details. The card will be sent to the registered mailing address. First of all there is no need to have Union Bank of India Account to get IRCTC RuPAY Debit Card. 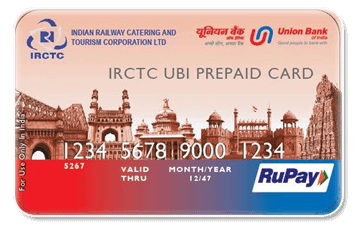 The Cards can be made available either from the UBI Office or through IRCTC site. Approach to nearest UBI branch and ask for the . You need to provide details of your PAN card (mandatory) and Aadhaar Card (optional). 2. Click on the Request for new card. 3. ?Fill the required details as asked. 4.?Pay initial topup of Rs.500 by netbanking, credit card or debit card. 5. The card will be sent to the mailing or email address according to the type of card chosen. Initial topup amount is Rs.500 at the time of purchasing card. Subsequent topup amount should be minimum Rs.500 with maximum of permissible card limit. Cards can be reloaded either through the net banking or via NEFT by visiting the UBI Branch. No additional charges will be levied on reloading. In case you wish to surrender your card than a fee of Rs.100 will be charged and deducted from your card balance. Remaining balance will be transferred via NEFT only. If the card balance is less than Rs.100 than card cannot be surrendered. Thanks for sharing information, In the field of pan card user have to fill as it is details written on pan card. To know your pan status online click here. Yesterday I purchased a card. After adding payment they send me 5 PDFs. Now problem is that I am not able to open any of them. I have tried to call irctc, union bank of india, I have emailed them as well. But still I am waiting for my CARD details. Its extremely sad that they do not have any dedicated customer care support. and how come that their provided PDFs are not working. In instruction they have mentioned to use initial 4 digit along with my dob in DDMMYY format. I have tried it, but it is not working. It looks like that I have lost my Rs 1000. 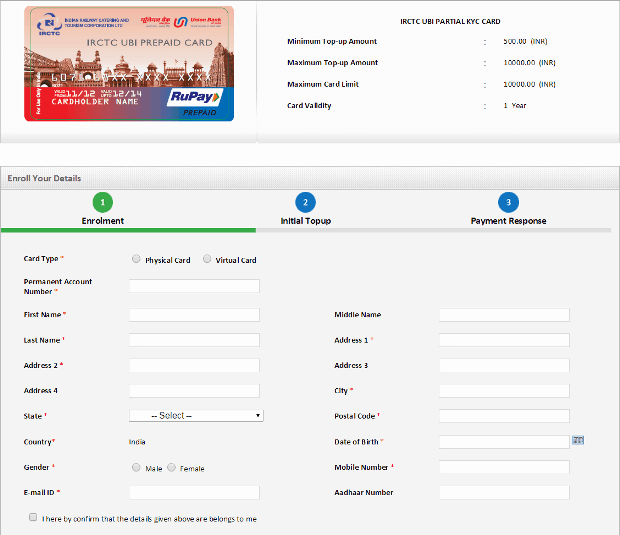 SIR HOW CAN I CONNECT MY IRCTC UBI PREPAID CARD WITH MY IRCTC REGISTERED PORTAL ? While entering pan name enter the middle name without spaces. Will tatkal ticket can be booked frm this card?? How can I get the password for opening the virtual card attachments sent through email. 1) Nothing like prepaid card. Every time Payment procedure is just like traditional Credit/Debit Cards. NO Fast Processing. 2) Transaction Fee Discount Never Received. Fake Promise . 2) Tatkal Booking Not Possible Using This Card. 3) You should always have more than booking amount available in prepaid card. You can?t make remaining payment from Other payment option as given is paytem and other wallets. 4) Due to above reason it become cumbersome process to pay using UBI Card because every time you need to check balance otherwise you cant book ticket. 5) There is no cleaner exit way. At the time of closing card they will charge 100 Rs. 6) You can’t use this card other that IRCTC Ticket Booking . Even Tatkal Booking is not possible. 7) Many Security Flaws. Not Safe . Hackable . 8) Money Get Blocked in Card Cant Use Residual amount in Card . 9) Min Recharge Option is 500. Thanks Ankur for your Review. I hope IRCTC would remove the flaws you have mentioned. i am unable to fill prepaid card because it always shows wrong name according to pan card. but i am writing as it is in pan card. help me out. Hi , you know people easy get into a trouble and go in the wrong way for pan card word , its so easy When you entering Pan name, you enter your name and middle name without any spaces.And also you check your pan card status by entering PAN card number from Apply for Duplicate Pan Card…. hope so you will get what you you need. i will try to apply rupay prepaid card but name is the trouble. i have entered the name as it is in pan card but it shown pop up of NAME AS IT ON THE PAN CARD. wat can i do for this? There is no expiry date on the card…all you have to do is use and recharge. No, IRCTC RuPay Debit Card will be available only at Union Bank of India.